I think it’s safe to say that all of us have something to try and keep track of throughout the day. From maintaining goals to covering things at work, how many times to you ask yourself questions? Repeto is a free iPhone app by Gilthonwe Apps that lets you create and answer questions on a daily basis. At first it seems an app like Repeto wouldn’t be of much use, but once you think about how often you ask yourself whether you completed a task or how many times you did something, you’ll find that the app will definitely come in handy. 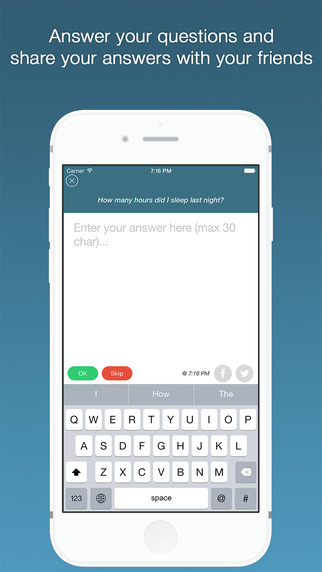 To use Repeto, simply open the app and create your first question. If you’re trying to improve habits you could write something like “Did I brush my teeth today?” or “What time did I wake up this morning?” The only limit is your imagination. You don’t have to worry about units of measurement, yes or no answers, or anything like that. Next, choose the time of day you’d like the question to be asked. In order for this to really work effectively, you should enable push notifications on your device. 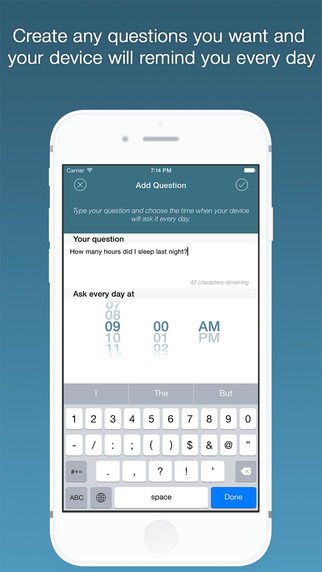 The main screen allows you to toggle between unanswered, answered, and disabled questions. When it’s time to answer or you remember to do so before the alarm goes off, simply open Repeto and submit your answer. As I mentioned above, your answer can be anything. 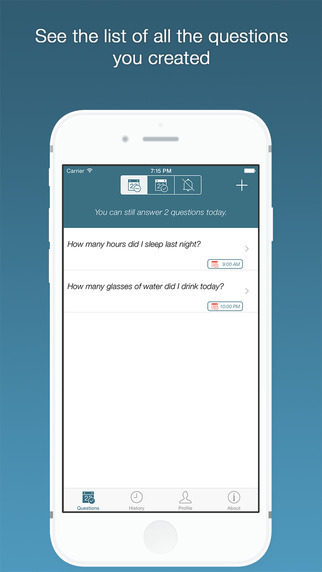 This is a perfect alternative to habit trackers and other apps that limit you to yes or no answers. If you want to share your answer with the world you can do so with Facebook or Twitter. You can also choose to skip answering a question if you want, but that kind of defeats the purpose of the app. You can also view a historical timeline of everything you’ve done in Repeto. 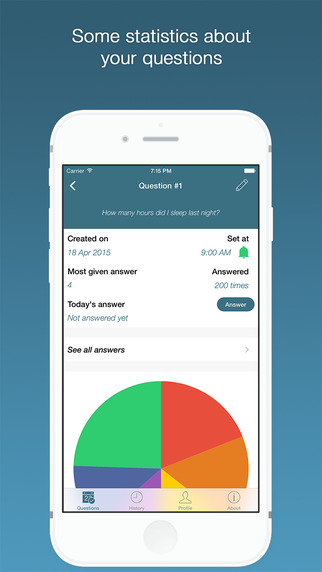 Repeto features cool statistics and graphs for each question, as well, and gives you a detailed breakdown of every answer you’ve given. This is perfect for gaining insight into your question and how well you’re doing with answering it. I also discovered that you can easily export answers into a CSV file and share it via email. Overall, Repeto is an incredibly flexible tracking app that can be used for anything you can think of. Users aren’t limited to the kinds of questions they want to ask themselves daily, nor are they limited by the answers they give. The app is incredibly easy to use, helpful, and very insightful. Plus, you don’t have to worry about in-app purchases, ads, or anything that’s annoying or unwelcome. Repeto is very straightforward and focuses solely on helping you keep track of things.